In America custom motorcycles are everywhere, from bobbers, choppers to café racers, you name it and they have got it. But what they don’t have is Axel Budde and his kaffeemaschine workshop. 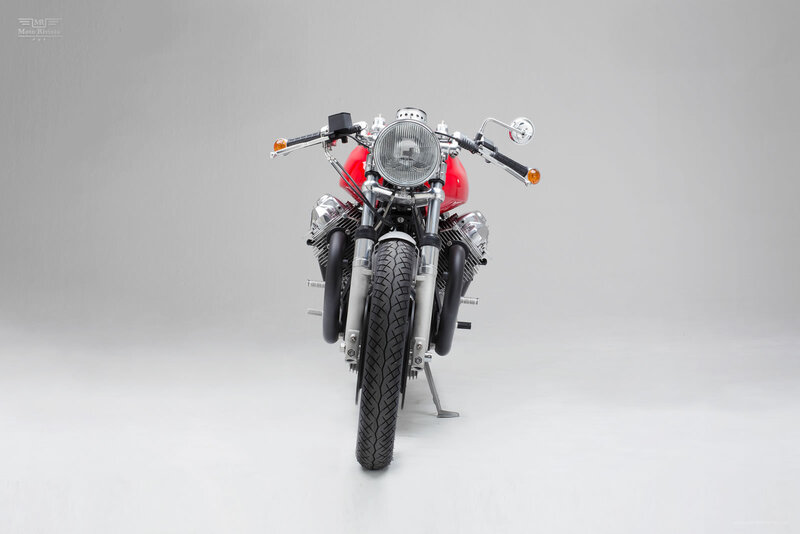 That is how this Moto Guzzi Le Mans AKA kaffeemaschine 12 became an international affair. 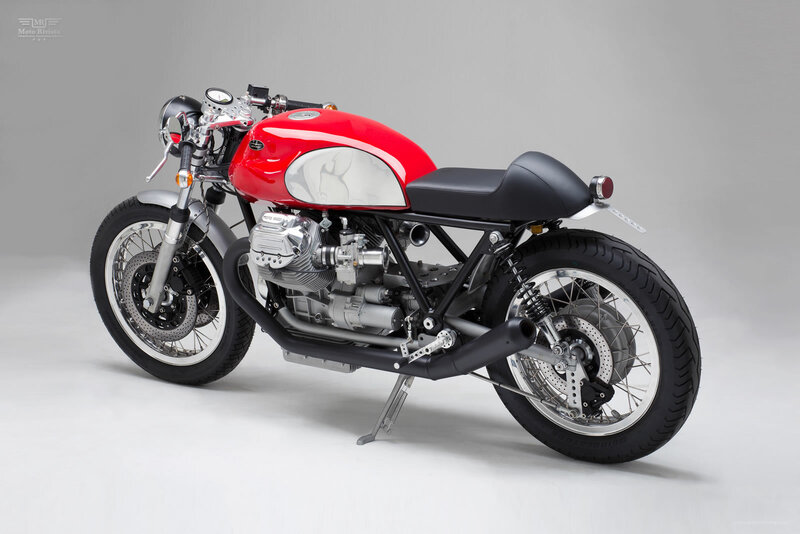 The Italian Moto Guzzi was customized by kaffeemashine in Germany for Axel’s customer William Connor from CA, USA! The brief was simple the customer wanted a classic Italian Café Racer, just like it could have been released in the 60’s but with the addition of some modern/new technique and muscle. On to the build and the transformation begins. 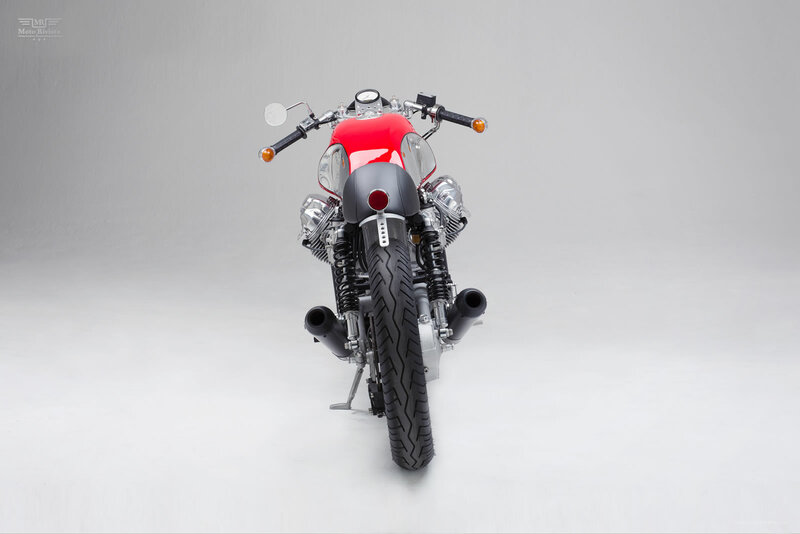 The frame (donor bike was a Moto Guzzi Le Mans 3) was reduced and modified and the exhaust is custom-made with removable db eaters. The transmission and rear drive was revised and the engine was rebuilt with 1040ccm pistons/cylinders, balanced crank, lightened flywheel and clutch, dual spark heads, sport cam and valves, electronic ignition and new/modified carburetors…..phew! The tank is a handmade WBO alloy replica; underneath the genuine leather is a kaffeemaschine fibre glass seat hump. The brakes were upgraded with modern pumps, stainless lines and a KM rear torque support. The fork was overhauled with new tubes and FAC dampers, special KM Ikon shocks are in the rear. The kaffeemaschine Guzzi also got a custom electrical system with the use of a Motogadget instrument, besides the various special kaffeemaschine alloy parts. 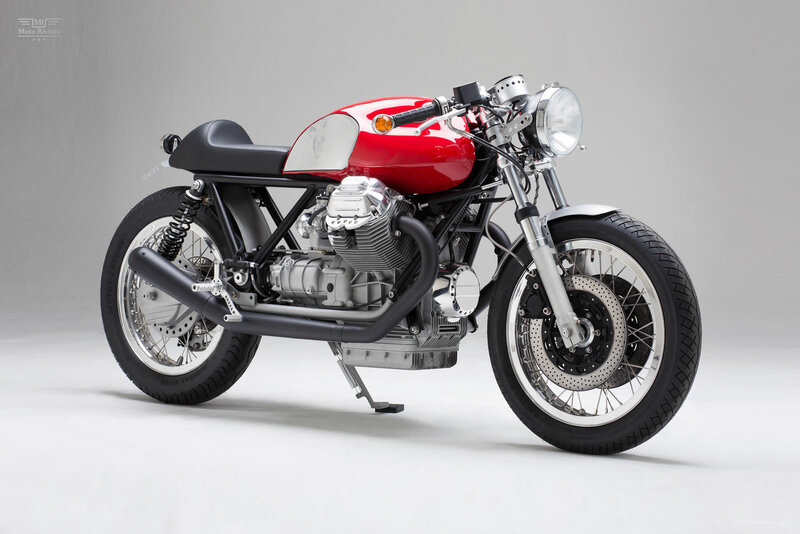 The finished Moto Guzzi captures the true spirit of the 60’s style, drop the excess and enhance the essential and then finished in kaffeemaschine style. 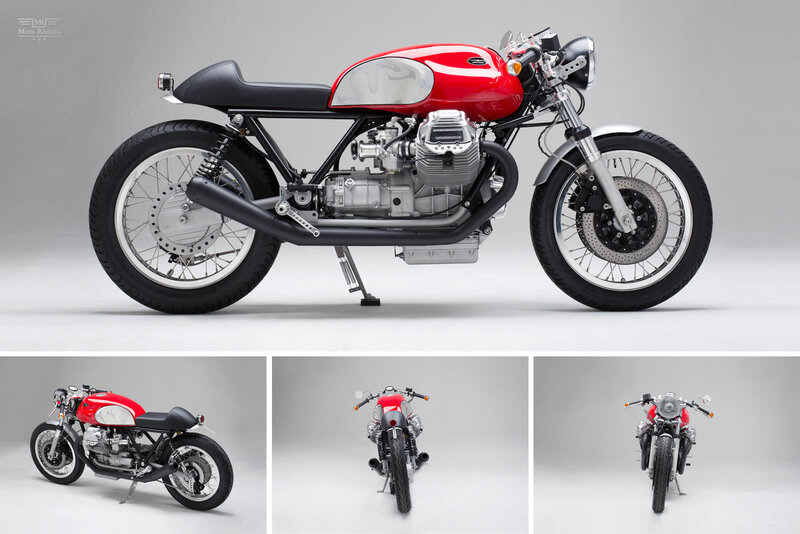 It doesn't matter where you are, if you thrive for a classic Moto Guzzi with a modern twist, Axel Budde's kaffeemaschine is the place to go!